We can help you build out your Competency Framework in a Fraction of the Time at a Fraction of the Cost. EVERYONE LOVES OUR SKILLS TRACKING SOFTWARE SO WHY DON’T THEY SIGN UP? The answer to this question is almost always the same, they could not get their competency framework built out. Thus, we are offering Competency Framework Consulting Services. When ever a client does not sign up after a trial we always ask them the following question. Well actually there is no fault in SkillsDBPro as far as I found anyway, we have major internal problems to decide on what level/detail we should measure the skills. This mean that even if we have access to the tool for a full year plus a number of month we have not gotten any closer to get a good understanding what we are measuring as we have like 20 different persons that own different areas and want to measure them differently. Garbage in, garbage out is what we ended up with. We will have a joint workshop later this year to get something consolidated but we decided that we don’t want to have the cost in the meanwhile, likely I will come back when we are finished, hopefully before my retirement that is 12 years from now ? Thanks for your help and support so far! Our expert Competency Framework Consultants, in conjunction with our custom software, will expedite the process of developing a competency framework for your business. How do we build out your competency framework? Well like everything else at Skills DB Pro with simplicity and common sense. Information Technology Defined: With over 3000 skills, 2000 job roles, and over 30,000 predefined IT skill combinations, no one else has the bandwidth to help you quickly create your IT competency framework as easily and accurately as we can. Job Role Tool Builder: If your not working with IT skills no problem. Our Job Role Tool Builder will allow your people to easily collaborate to create custom job roles for your organization. We provide a drag and drop tool where all your managers and employees(if you want) collaborate to build out job roles. You provide us with a list of people and their email addresses who you want to build out Job Roles. Our Job Role definition is simple. We ask what skills and qualifications are necessary for your job and at what level. We reach out to these people and send them a link to start begin building profiles. Our software allows everyone to collaborate to build job roles, with full auditing. Thus, one person cannot delete another persons entries, though they can comment, and add to them. Everyone has access to our skills library as a base that holds more than 6000 skills. Getting to this initial job role list is always the killer. Our experts and software helps get you there with ease. Your team then curates and finalizes the final Competency List. The system includes full admin reporting. If you already have job roles built out and need them edited by your people no problem we can import them for you. Book a time to talk to one of our Competency Consultants. Watch how our Competency Framework Builder Software works. "What gets measured gets done." - Defining and measuring effectiveness – especially the performance of workers – is critical. 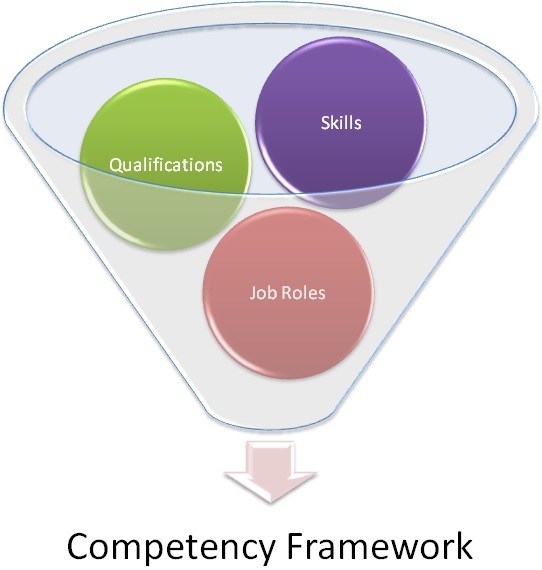 To Learn More about building Competency Frameworks read this article. Book a time to talk to us to learn more. Skills DB Pro understands customer service, and is a valued partner in helping us to get the best resource in front of our customers for a particular need. Hank HillDelivery Manager at Strategic Business Systems, Inc.